Please help my family identify this waterfall! My Great Uncle Jerry was a fighter pilot in WWII and he loved to take photos. This is one of his photographs. I have always been drawn to this photo and have not been able to identify the location. My Great Uncle Jerry was shot down in Northern Africa in April 1943…so the exact location has never been known by our family. 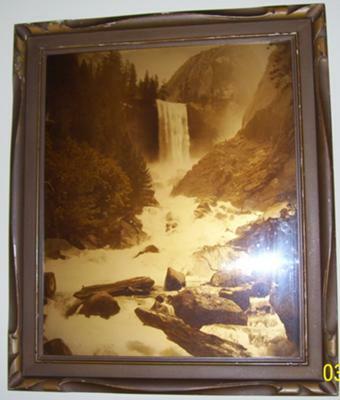 It is believed he took the picture in Yellowstone, however, based on searches of waterfall pictures from Yellowstone, there doesn’t seem to be a match. I am hoping that once I know the location, I may understand more of why I have been drawn to this photo since I was a little girl. Thanks in advance for any clues anyone is able to provide.